Iran's Foreign Minister Mohammad Javad Zarif hit back on Monday at threats from US President Donald Trump on Twitter, warning him to "BE CAUTIOUS!" 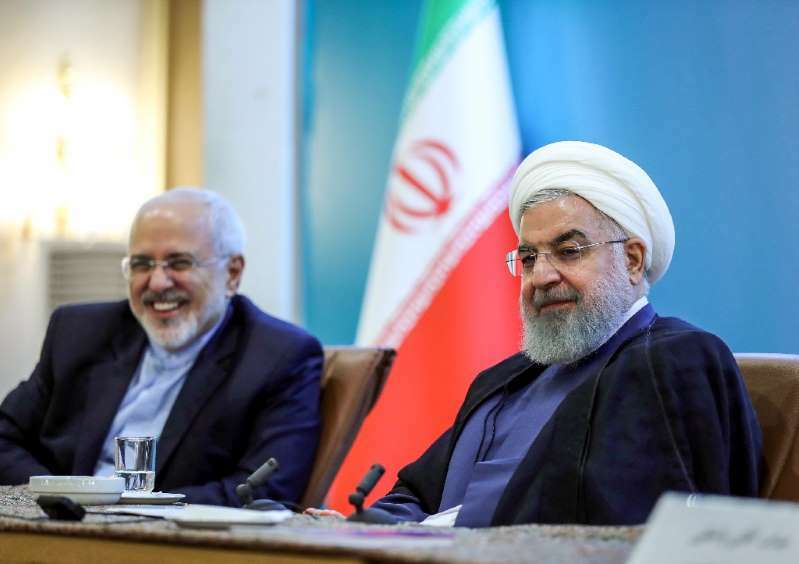 [post_ads]Mimicking Trump's bellicose Twitter threat directed at Iran's leaders the previous day, Zarif wrote: "UNIMPRESSED ... We've been around for millennia & seen fall of empires, incl our own, which lasted more than the life of some countries. BE CAUTIOUS! Zarif was responding to Trump's tweet on Sunday, in which he warned: "NEVER, EVER THREATEN THE UNITED STATES AGAIN OR YOU WILL SUFFER CONSEQUENCES THE LIKES OF WHICH FEW THROUGHOUT HISTORY HAVE EVER SUFFERED BEFORE." That was assumed to be a response to a speech by President Hassan Rouhani earlier in the day warning Washington not to "play with the lion's tail" and that conflict with Iran would be the "mother of all wars". "The world heard even harsher bluster a few months ago," Zarif said of Trump's tweet. "And Iranians have heard them -- albeit more civilised ones -- for 40 yrs."